She was his muse, his model, and his inspiration. Even before meeting Aristide Maillol, people had told her, that she looked pretty much like his sculptures. When she met the artist, she finally understood. Back then, Dina Vierny was just 15. He, Maillol, already 73. But he was mad about her: ”I need her like the air I breathe.” She was his principle model for the next decade. More than a model? Ask the specialists, they probably have their own ideas about the subject. But who cares? Vierny also sat for other artists like Henri Matisse and Pierre Bonnard. 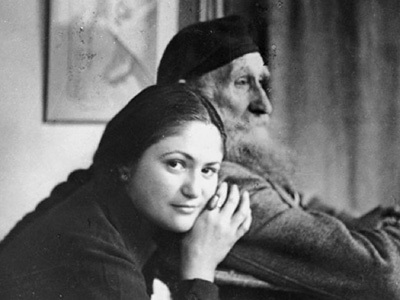 When Maillol died in 1944, she opened a gallery in Paris and started collecting works of other artists. But her true aim in life was something else: she wanted to build up a foundation and a museum to pay homage to Maillol. When she finally succeeded in 1995 and inaugurated the museum on rue de Grenelle, I was lucky enough to meet Dina Vierny. Believe me, this woman still had an aura and looked like the personification of Maillol’s art: La Rivière, La Montage, and L’Harmonie? Dina Vierny died in 2009. 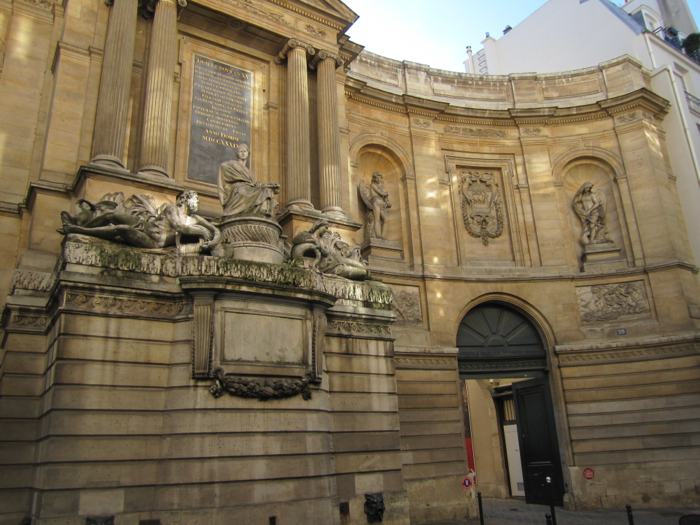 Today, the Musée Maillol is one of the smaller, not too crowded museums, except when they are holding one of their famous monographic exhibitions, which usually attracts the crowds. But the museum itself is worth a visit. 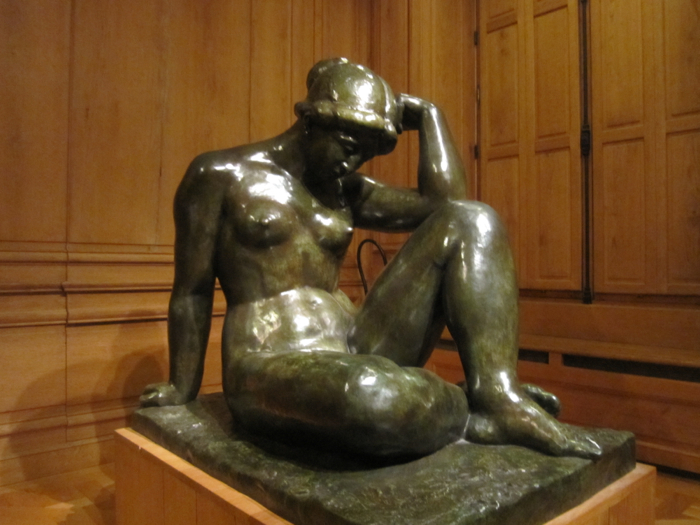 If you like the buxom female nudes of Maillol, you’ll definitely get your money’s worth: there are plenty of them. Besides these you’ll also find drawings by Matisse, Dufy and Bonnard. Musée Maillol is a nice, intimate place, perfect for a stop during you shopping spree in the very fancy 7th arrondissement. Before you walk into the museum, have a look at the Fontaine des Quatre-Saisons outside the building. It’s an impressive 18th century piece showing the City of Paris herself, flanked by the rivers Seine and Marne. After all this, stop at Barthelemy, one of the most famous cheese shops in Paris.